Have I seen the Cleveland Cavaliers (“Cavs”) play at the Quicken Loans Arena in person? No, not yet. Does that stop me from being excited about the 2015 National Basketball Association (NBA) championship series? Hell to the no! The excitement is everywhere. I see it in our neighborhood (Figure 1), and I see it on my way to work (Figure 2). The energy is infectious, and it has everyone talking about Cleveland in a positive light. Did you watch the game last night? Did you see that shot? What about that defense? Even my Mom’s gentle yoga class at the Cleveland Heights Community Center was talking about Tuesday night’s game! Figure 1. 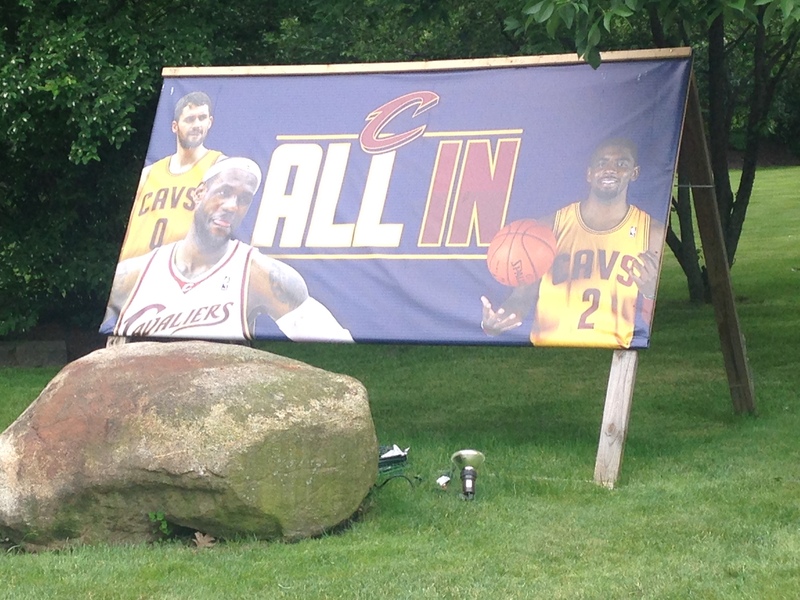 Cleveland Heights is All In! Our neighbor proudly displays his or her support at the crazy five-way intersection of Fairmount, Coventry, and who knows what else. Photo credit goes to Steve who ran down the street to take this picture for me. Figure 2. The Case Western Reserve University School of Nursing is All In! This woman should win a prize for best decorated door. As I write this, the Cavs are ahead two games to one against the Golden State Warriors. Tonight is game four here in Cleveland. LeBron James is playing his fifth consecutive NBA finals, the first four of which he was wearing a different jersey. Since the King's return to Cleveland this season, the city has been anticipating a championship to call their own in professional sports---an accomplishment not achieved since the National Football League (NFL) Cleveland Brown’s Super Bowl win in 1964. Can they pull it off? I don’t know. Key starters are out for the season with injuries. Players are stepping up to fill key leadership and cheerleader roles, but the scrappy and hard play is taking its toll (Tuesday night’s game sent Matthew Dellavedova to the Cleveland Clinic with severe cramping). I am afraid the Cavs are becoming too tired and are running out of able-bodied players to make it through the series. Regardless of the outcome, making it to the championship final series has been a welcome bright spot in the community in a year mixed with tragedy and hopeful economic recovery. For at least one week, the series has been a uniting force where the only arguments you hear concern the game. It’s nice to enjoy the euphoria and the utopia the series has created even if temporary. For now, Cleveland is All In. As I left work on Tuesday night, I passed a maintenance crew in the garage. One of the crew randomly smiled at me and said “Go Cavs!” Indeed, go Cavs! 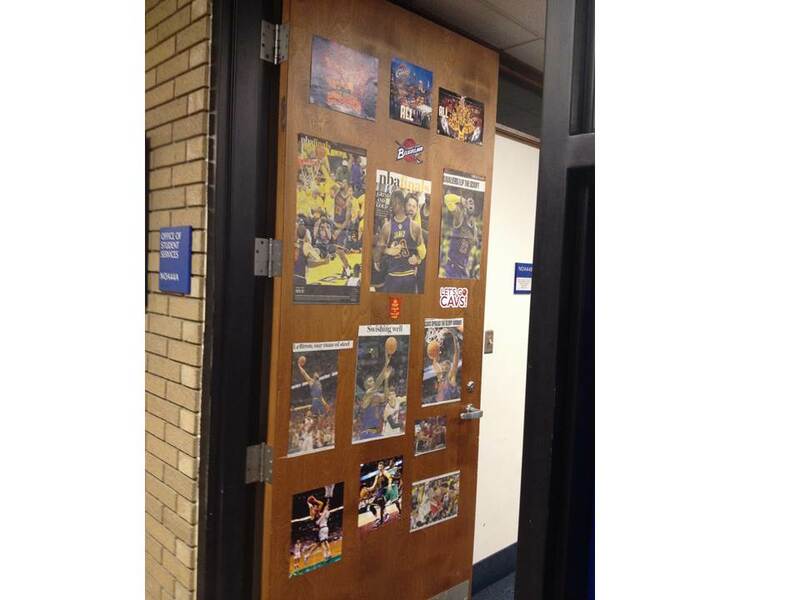 Posted in Cleveland Calculus and tagged Basketball, Cleveland Cavaliers, Sports.